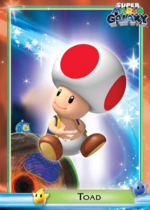 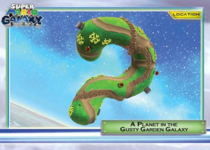 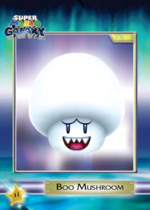 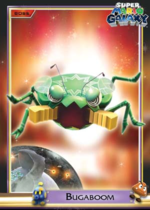 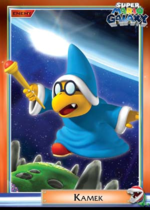 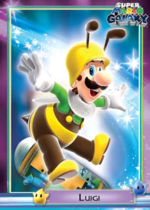 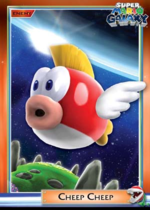 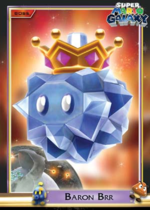 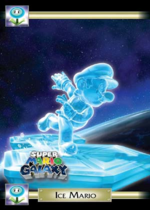 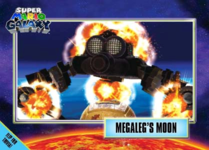 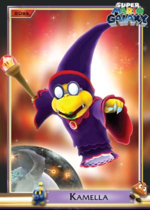 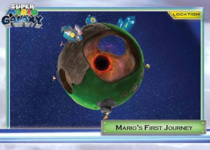 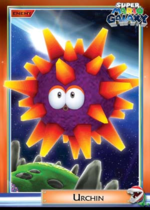 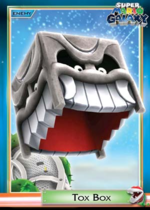 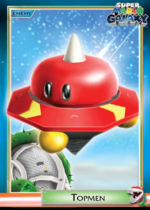 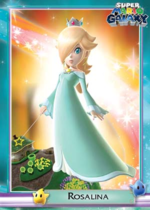 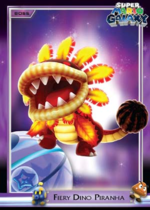 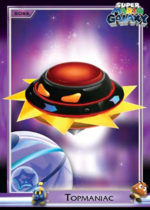 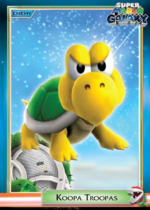 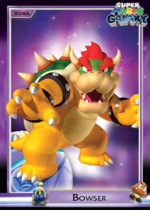 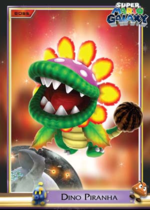 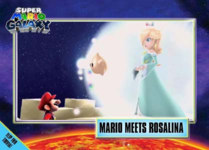 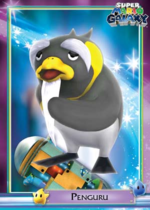 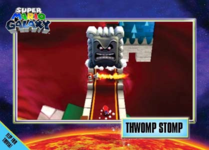 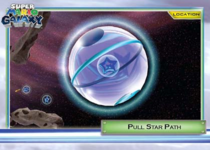 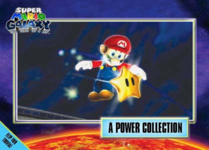 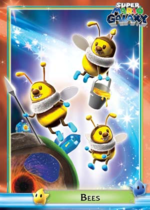 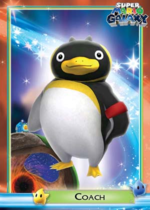 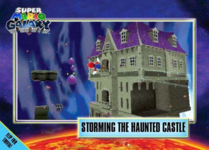 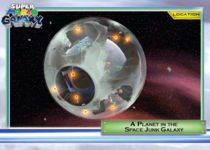 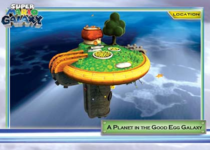 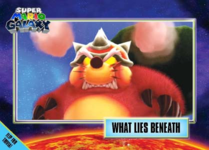 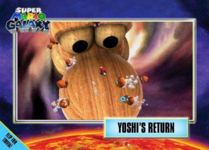 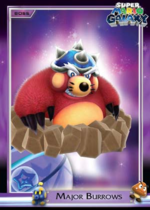 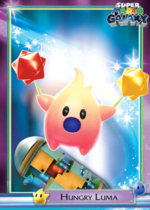 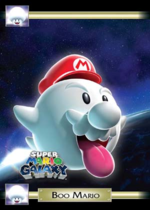 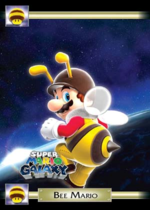 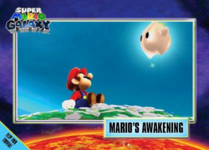 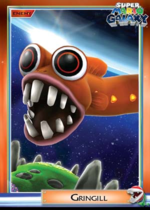 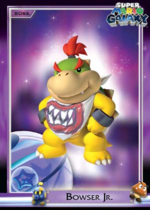 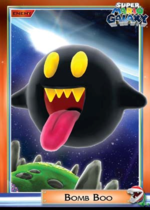 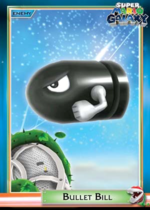 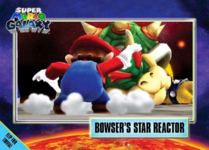 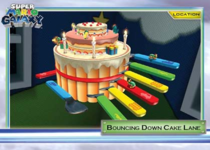 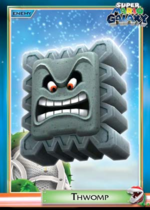 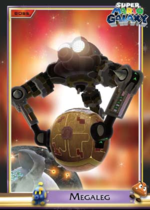 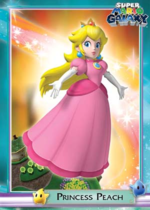 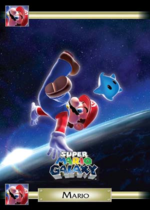 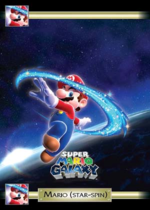 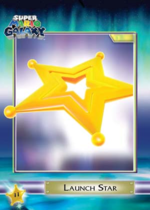 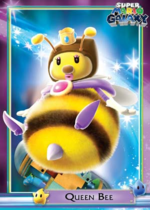 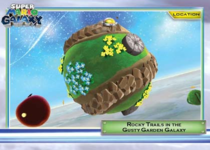 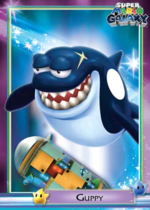 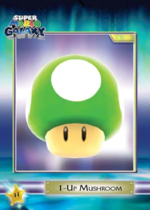 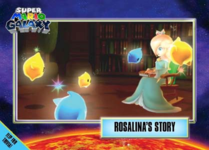 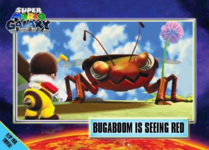 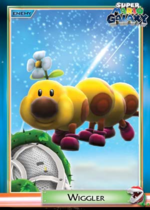 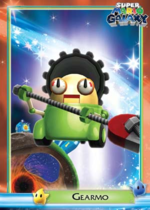 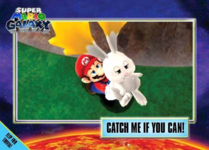 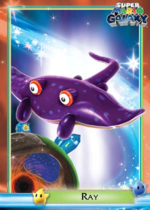 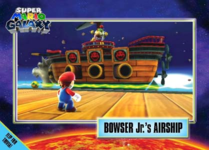 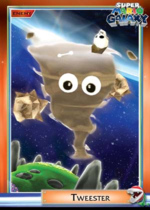 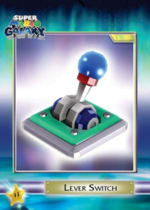 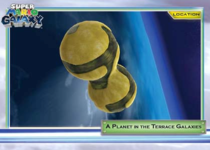 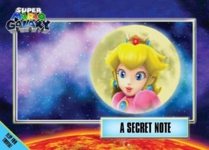 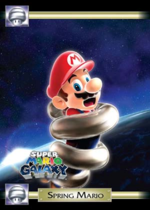 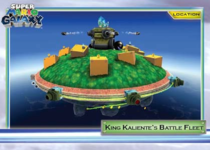 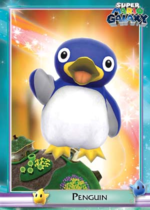 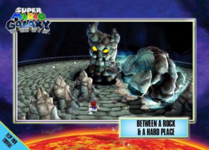 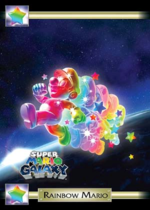 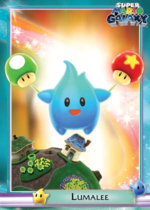 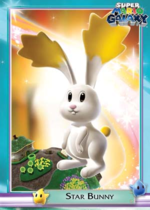 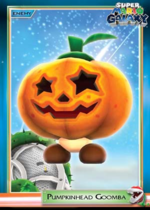 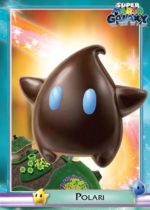 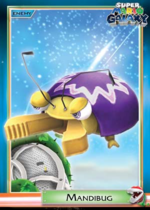 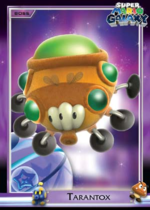 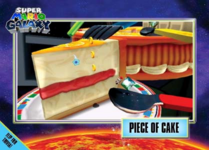 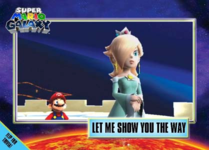 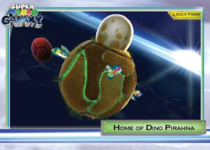 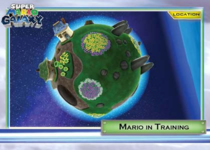 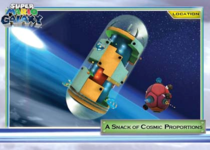 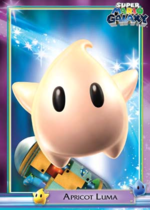 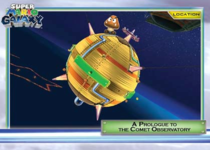 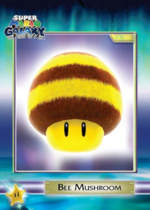 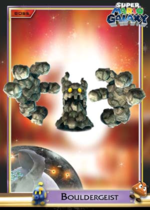 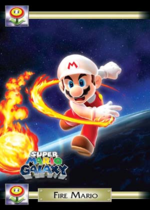 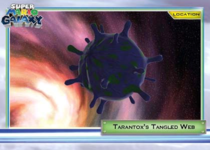 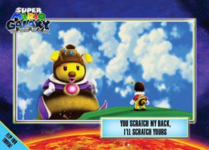 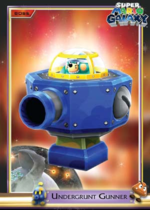 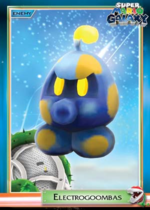 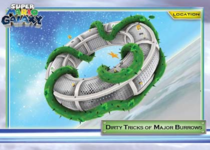 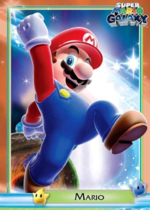 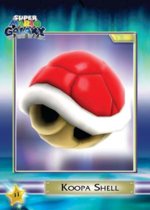 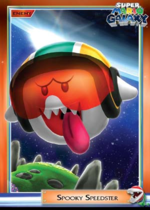 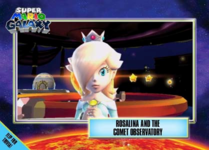 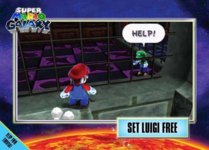 Super Mario Galaxy trading cards were released to celebrate the release of Super Mario Galaxy. 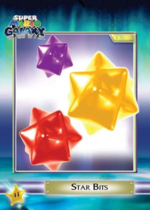 These helped amplify the publicity of the game. 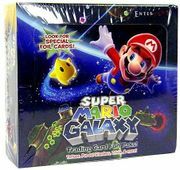 Each booster pack would have two regular cards, one trivia card, one standee, and one FunTat. 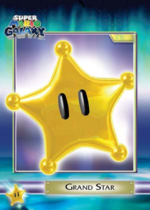 Cards labeled with an asterisk (*) also feature a foil variant. 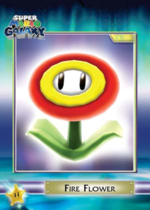 FunTats are special tattoos that contain a Mario character, enemy, or item on it. 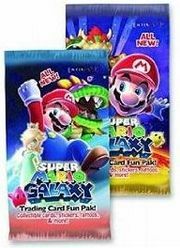 15 of the cards also had special foil releases. 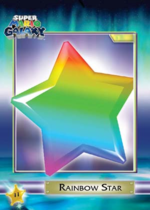 When buying cards, there is a 1 out of 6 chance there will be a foil card. 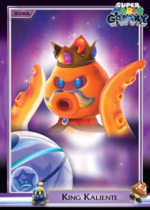 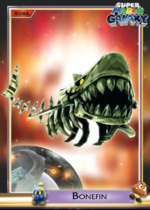 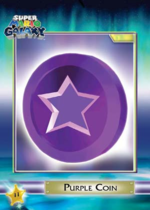 This mistake is likely due to Kingfin's galaxy being named Bonefin Galaxy. 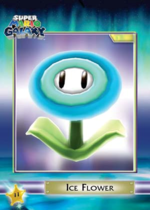 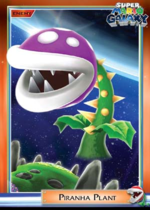 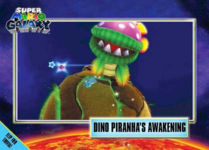 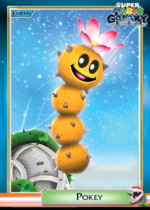 The artwork on the Piranha Plant Card is actually a Prickly Piranha Plant. 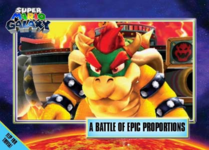 This page was last edited on April 18, 2019, at 19:32.